This model is 175 cm and wears a size 2XL/S. Their chest measures 86 cm and the waist 64 cm. Athletic inspired fashion is your M.O. 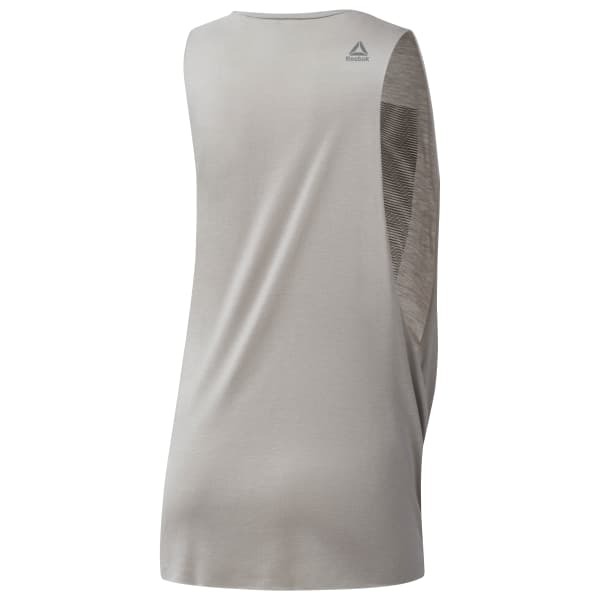 Slip on this women's Moire Muscle Tank for instant style and comfort in or out of the gym. Raw edges and the muscle tank design play up your gritty appeal and the bold graphic treatment nods to your fit persona.